The Christian Century is the only magazine that I continue to subscribe to via snail mail. Another words – it’s a paper magazine I get delivered by the mailman every other week. I don’t always read ALL of the articles, but I enjoy reading the “faith” news, snippets, lectionary reflections, editorials and several of the regular contributors. I also follow CC on Facebook, which alerts me to articles that will be coming soon. Today I got such a sneak-preview of an article that I think many of you involved in ministry with children – as a parent or teacher – will be interested in. The simple fact is that the Bible is not a book fit for children, neither in its unsavory parts—murders, rapes, genocides, betrayals, mauling by wild animals, curses, divine retribution and apocalyptic horrors—nor in many of its neutral or even uplifting parts, including statutes and ordinances, proverbs, genealogies, geographies, prophecies, censuses and pretty much all of the epistles. It’s no surprise that most of these sections get dropped from children’s versions altogether, though at some point we may begin to wonder with what justification they still call themselves Bibles. Scripture is definitely something to ease the little ones into, not drop them in cold. So what’s the best way to go about it? I’ve written and shared numerous articles and other people’s blog on how to choose a bible to use with children. And how to be truthful in sharing biblical stories – not candy coating them. I don’t agree with everything stated in it, but it will get you thinking, for sure. 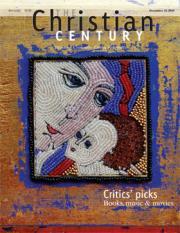 Read this great article here – and think about subscribing to The Christian Century! R-rated: How to read the Bible with children | The Christian Century. Fairy tales are filled with horrific events, but children are able to handle them when hearing them read because there are no images forced upon them. That is, their imagination creates whatever they can handle. We should know that what a 4-year-old responds to is not the same as what an 8-year-old can process, and plan our curricula accordingly. But we shouldn’t insult their intelligence by assuming that we must pretend that reality is something other than what it is.